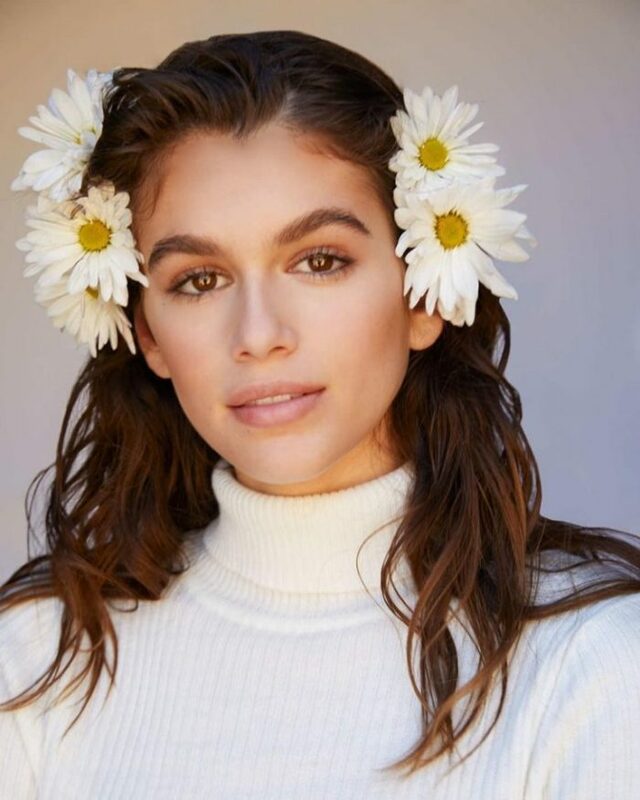 Kaia Gerber returns as the face of Marc Jacobs‘ new fragrance, ‘Daisy Love’. A new incarnation of the famed Daisy line, the campaign was photographed by Alasdair McLellan. Kaia joins Faith Lynch as well as Aube Jolicoeur for the image captured at the beach. Katie Grand works on creative direction for the shoot with hair by Anthony Turner and Miranda Joyce on makeup. Described as a radiant floral, the ‘Daisy Love’ scent contains notes of crystallized cloudberries, daisy petals and cashmere musk.